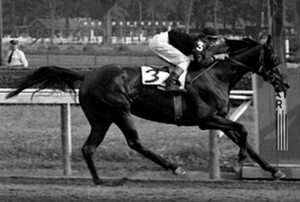 Busanda, pictured above in the 1951 Saratoga Cup, was a top-level runner in her days. The daughter of War Admiral and the Blue Larkspur mare, Businesslike, Busanda won races against both colts and fillies in her 65 starts. The Busanda has only been used as a prep race for one Kentucky Oaks winner since 1974. In 2013, Princess of Sylmar won the Busanda, which would begin her accent to the top level of racing. Princess of Sylmar would go out a winner of the Kentucky Oaks at huge odds of 38-1. She would soon go on to win races such as the Coach Club American Oaks (G1), the Alabama (G1), and the Beldame (G1), with the latter coming with a win over multiple graded stakes winner and Breeders’ Cup Distaff winner, Royal Delta. The Busanda hasn’t seen a lot of superstars since 1974. However, except for Princess of Sylmar, horses such as Aztec Hill (G2 Black-Eyed Susan), Cyber Secret (G3 Cicada & Comely), and Wayward Lass (G1 Mother Goose and CCAO) have won the Busanda. 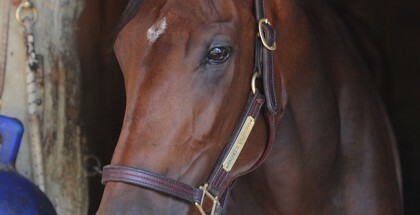 The Busanda is obviously named in honor of a filly. Who was Busanda? Busanda was a top-level runner in her days. The daughter of War Admiral and the Blue Larkspur mare, Businesslike, Busanda won races against both colts and fillies in her 65 starts. In 10 victories, Busanda scored the 1950 Alabama, the 1951 Suburban Handicap, and the 1951 Top Flight Handicap, among others. Bred and owned by Ogden Phipps, Busanda was an incredible horse all around. Not only was she a top runner, she was best known for her broodmare career. In 1963, Busanda foaled the Tom Fool colt that would become known as Buckpasser. Buckpasser was a winner of 25 of his 31 starts, which included a 15-race winning streak. Bred and owned by Ogden Phipps, Buckpasser was the fist horse to surpass earnings of one million dollars before the age of four. As a racehorse, Buckpasser received five Eclipse Awards and was inducted into the Hall of Fame in 1970. Busanda ensured not only her legacy to be continued through her son, Buckpasser, but Buckpasser has likely guaranteed the continuation of the extremely important distaff lineage of La Trioenne, his maternal grandmother. La Trioenne can be found in the lineage of three Kentucky Derby winners (Sea Hero, Go For Gin, and Smarty Jones) and in important sires like Easy Goer, Woodman, and Mineshaft, just to name a few. Buckpasser ensured not only La Trioenne’s legacy to continue, but also his own. Buckpasser a good sire, but proved an extraordinary broodmare sire. Buckpasser sired Numbered Account, who produced Private Account, who sired undefeated Personal Ensign. He also sired champion older female and producer of Easy Goer, Relaxing. His daughters have gone on to produced horses such as Seeking the Gold, Slew o’ Gold, Touch Gold, Coastal, and With Approval, with the last three being all Belmont Stakes winners. Busanda can be found in pedigree’s all across the United States. 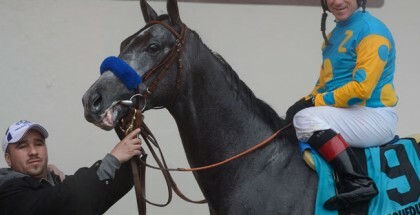 She is guaranteed her lineage when she produced Buckpasser, a very influential sire to the thoroughbred we know today. With a race in her name, fillies come to Aqueduct to attempt to win the $100,000 purse that is offered. Without Busanda, the thoroughbred we know and love today may not exist.